When the cold winter air gives way to the climbing temperatures of spring and summer, you’ll want to be able to stay cool without having to empty your wallet for energy bills. This article has compiled a list of six key steps you can take to save money on your utility bill without sacrificing comfort. 1. Replace old air conditioning units with newer, efficient models. If you have an older unit that has not been properly maintained, invest in a new model. The replacement costs may seem daunting, but in the long run, they are well worth it. Manufacturers such as Trane, Rheem and others are labeled with Energy Star ratings. Energy star HVAC products use up to 50 percent less energy than other manufacturers. 2. Invest in a programmable thermostat. Programmable thermostats allow you to control your HVAC units even when you’re not there. 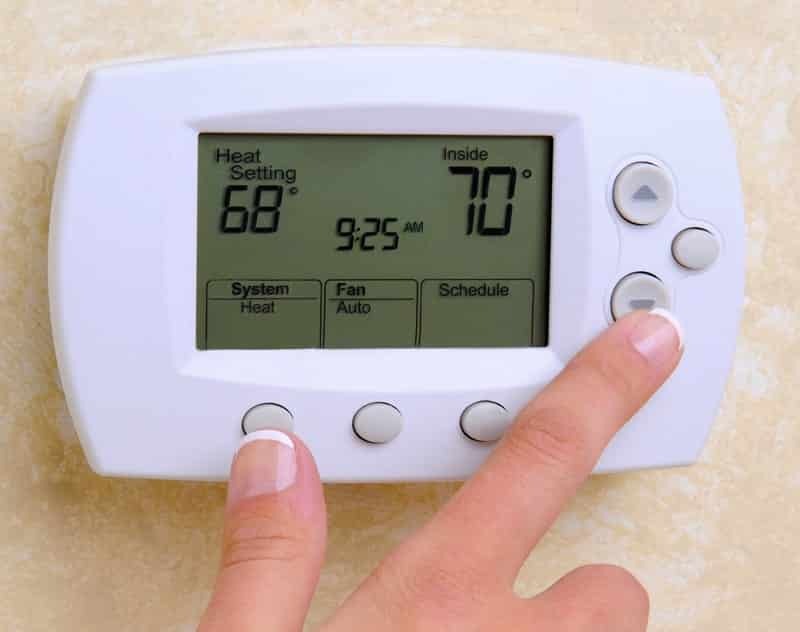 Match your thermostat to your schedule, use a timer for when you leave for work and when you come home, set it for particular rooms, and even set specific temperatures. 3. Don’t forget about your air filters. Air filters should be replaced monthly to promote a more efficient system performance. Clogged or dirty air filters can cause a disrupt in the airflow and even lead to health concerns. 4. Protect your HVAC unit from sun and debris. An awning or tree can provide shade to your unit and cut energy consumption while helping your unit operate more smoothly. However, note that shrubbery or branches that can get into the system and can hinder the system’s performance and may lead to permanent damage. 5. Make sure that your vents are clean and open. A clean vent also keeps debris from flowing through your home. Dirt and dust can easily collect and can be overlooked; be sure to focus on the inside of your home as well as the outside and ensure your vent and air filters are in good condition. Heat rises. During those hot summer months, the heat in your home will rise to the ceiling or the second floor of your home. To help that hot air on its way out of your home, fans can be a great tool. Either ceiling fans or standing fans help move the air around the room, creating a cooler environment for your family. Good air circulation helps your home maintain an even temperature, giving your HVAC a chance to work less.